Here you can download the JEEC newsletter number 3. Here you can download the second newsletter for JEEC 2016. You will get some information about what you will need at the clinic and a bio of instructor Mike Fichter. Here you can download the first newsletter for JEEC 2016. You will get some information about the clinic facility and the daily schedule. ABUA-E is happy to announce that one spot in the JEEC 2016 is sponsered by Thomas Haywood Photography. Details please find in the document here. hereby you can find the invitation letter to the Jim Evans European Classic umpire clinic 2016. We would be glad if you share this information with your colleagues and national baseball/umpire organization. The European Association of Professional Baseball (EAPB) was founded in May 2015 by some of the strongest teams in Europe. 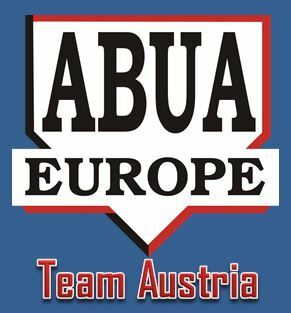 The EAPB aims to start and operate Euro League Baseball in 2016, the first Professional Baseball League in Europe with teams from the Netherlands, Italy, France, Germany and Czech Republic. The first Winter Meeting held on Friday October 23, resulted in a decision to actually start Euro League Baseball in 2016. The decision was taken after discussions about the size and the length of the schedule. The meeting concluded with the plan to shorten the season to 3 or 4 months and to limit the number of games to 18, having weekly 2-game series on Monday and Tuesday or Tuesday and Wednesday. I am glad to announce that the registration for the Jim Evans European Classic umpire clinic 2016 in the Netherlands is now possible. Please note the early bird discount and save 50€! The Four Stages of Learning – which stage are you? Ask yourself: Which stage are you? The umpire does not understand or know how to do something and does not necessarily recognize the deficit. With other words: He is horseshit and even does not know it. He must recognize his own incompetence, and the value of the new skill, before moving on to the next stage. The length of time an umpire spends in this stage depends on the strength of the stimulus to learn. JEEC 2016 in the Netherlands! We are proud to announce that the Jim Evans European Classic will be held in Almere/NED in Kooperation with the Dutch Baseball Federation KNBSB. The date is already fixed: April 3-9, 2016, and is one day longer as usual. Registration will be opened in September 2015. Stay tuned for news! As already announced the Rulebook 2015 was revised completely. Finally the book is available now! Format includes a new never been seen before renumbering of all of the original baseball rules. This will be the only edition with both the new numbering system and the old rule book system in one. Both books are bound together for easy reference. We will order a bunch of books to save shipping costs. If you are interested to purchase a new rulebook just email us to info@umpire.eu.